Our team of experienced independent financial advisors and associates serve as dedicated advocates and guides for individuals and business owners. The strategies we develop help integrate your financial goals with your personal values. We place great emphasis on family and life-balance—taking the time to do what’s right for the people that mean the most to us. You can rely on our team to treat you like family, recommending only those strategies we would feel comfortable employing for ourselves and our family members. Andrew C. Karlinski, CFP® is the President and founder of AK Financial Group. 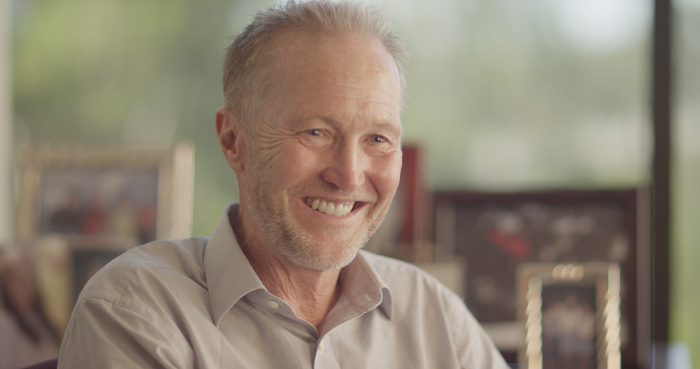 After earning his bachelor’s degree from Queen’s College in New York, Andrew moved to Orange County, California in 1976 and began working in the financial services industry. Since then, Andrew has been actively pursuing his vision of building a financial services firm that meets the full spectrum of his clients' financial planning needs. He holds series 7, 24, and 63 registrations through LPL Financial, the CERTIFIED FINANCIAL PLANNER™ designation, and insurance licenses. He is a Registered Principal and Office of Supervisory Jurisdiction Branch Manager with LPL Financial. Andrew C. Karlinski, CFP® has held leadership positions in a number of non-profit organizations in California and Colorado. Andrew has three children and enjoys snowboarding and surfing in his spare time. Myra has been with AK Financial Group since 1994. Prior to joining AKFG she worked in the commercial loan business for 10 years. She is a Life Agent and Notary Public. Myra oversees that the company’s day to day operations, ensuring a smooth operation and consistently exceptional experience for the firm’s clients and advisors. She also manages client communications, including the scheduling and monitoring of client reviews. Originally from Waterford, Ireland she adjudicates Irish dancing competitions in her spare time. Myra lives in Irvine and has four children and seven grandchildren. She enjoys dance, music, reading, traveling and spending time with family. Kara attended the University of California, Irvine, and has been working with AK Financial Group since she graduated in 1999. She manages many of the daily operations of the office, and coordinates meetings and compliance for AK Financial Group’s 30 satellite locations. She is married and lives in San Pedro with her husband and mischievous young son. Sean joined the firm in 2007. He oversees a diverse range of client needs from coordinating new business and account transfers, to assisting with client services. He also works closely with the firm’s advisors. Sean is currently pursuing his securities registrations. He enjoys travel, basketball and going to the gym. Rhonda graduated from California Lutheran University in 1990, and pursued an interest in the entertainment industry before transitioning into financial services in 1998. She soon discovered that the financial services world was her calling, and began learning as many aspects of it as possible. Fortunately for our team, Rhonda has become a jack of all trades. Away from the office, Rhonda enjoys road trips, reading mysteries, and trying anything new at least once. Christine Hagen, MS, CFP® has been providing comprehensive financial advice and investment services to individual investors and small businesses since 1983. She graduated from the University of Colorado at Boulder in 1980 with a B.S. in Business Administration. She received her Masters of Science Degree in Retirement Planning from the College for Financial Planning in 1996. The aim of Christine’s business has always been a commitment to service. With an increasingly complex financial environment, she is dedicated to providing a personalized, comprehensive approach to financial strategies and investment management. As an advisor with AK Financial Group and securities representative with LPL Financial, Christine is able to offer access to a wide array of products and services which are tailored to meeting the specific needs of the individual investor and small business. She focuses on financial and retirement strategies and professional financial management. Christine is a CERTIFIED FINANCIAL PLANNER™ Professional. She holds Series 7, 24 and 63 securities registrations. In addition, Christine holds a Life & Disability Insurance License (California #0645795) and is a CTEC Registered tax preparer.